This product is formed into laminated board through drying and heat pressing after cotton cloth dips into PF resins. It is suitable as the structural components with a certain mechanical performance and electric performance for machinery, electric engine and electric equipment. The surface of laminated board should be flat and smooth, no bubble, no wrinkle or crackle, and properly free from other defects such as scrape, impress, dirt spot and uneven color, but a little color patches is allowed. 1. 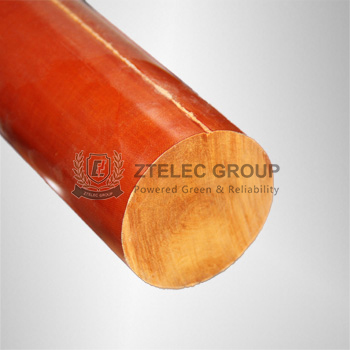 High mechanical properties, and oil resistance and certain dielectric property. 4. Winded and pressed bars of hardened fabric are made of cotton fabric and phenolic resin. Chemical machine parts , general machine parts and gear motors and generators etc. We also have epoxy glass cloth laminated sheet,phenolic cotton cloth laminated sheet,phenolic paper laminated sheet,epoxy glass cloth rod and phenolic cloth rod.Please contact me if you are interested in our products. Sincerely welcome more buyers to visit our company for further cooperation!